Qamea Resort & Spa is a luxury adults only resort on the Island of Taveuni and approximately a two hour flight and car transfer from Nadi Airport. The reef just off from the resort has been named as one of the top ten resort snorkel reefs in the world. This is the perfect Fiji accommodation for combining luxury, romance and tropical island adventure. Qamea Resort & Spa is intimate Fiji accommodation situated on one hundred acres of private land catering to small number of adult guests. The amazing thatched roof bures have a romantic feel with some featuring outdoor river stone showers and four poster canopy beds. 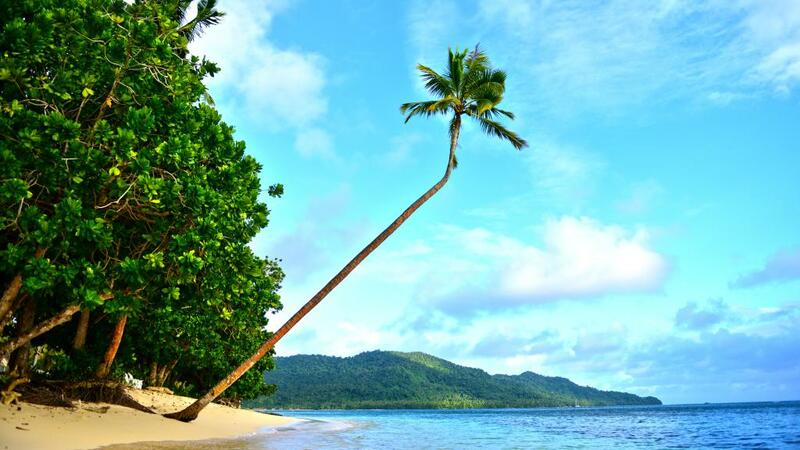 The resort fronts more than a kilometre of beautiful private beach and the coral reef that sits just out from Qamea has been named in the top ten on the planet. This is romantic island paradise at its best.